For many Americans, measles is a disease of the past, like polio. Unfortunately, measles has been making a big comeback in several different parts of the world. If you are going on vacation to certain global destinations, the CDC (Centers for Disease Control and Prevention) recommends you take certain measles precautions. Since January 2016, there have been more than 14,000 measles cases reported in Europe alone. Measles is no small matter, either – 35 people have died in Europe as a result of measles this year, according to the World Health Organization. While there haven’t been any major outbreaks in the U.S., there have been a number of cases, most of which have been the result of international travel. This can be especially dangerous, since an American who contracts measles overseas and brings it home risks causing an outbreak here in the states. There are currently travel health notices for five European countries that have experienced measles outbreaks since November of last year. These countries include Belgium, France, Italy, Germany and Romania. However, there have been measles cases reported in 15 countries throughout Europe this year alone. 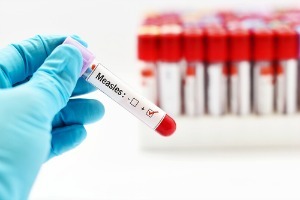 If you are planning a trip to Europe this summer, then you and your family should take precautions by visiting your doctor at least four to six weeks before you travel in order to get vaccinated for the measles. The vaccination is a series of shots, which is why you may need up to six weeks to have them administered and for your body to build up immunity to the disease. Measles is not something you should take lightly. It’s one of the most contagious of all infectious diseases. It’s estimated that 90 percent of susceptible persons who have close contact with someone that has measles will contract the disease. It’s a virus that can be spread via coughs or sneezes and that can live two hours or more in the air or on surfaces. For more health tips or general health information, be sure to visit us at The Benefits Store today.